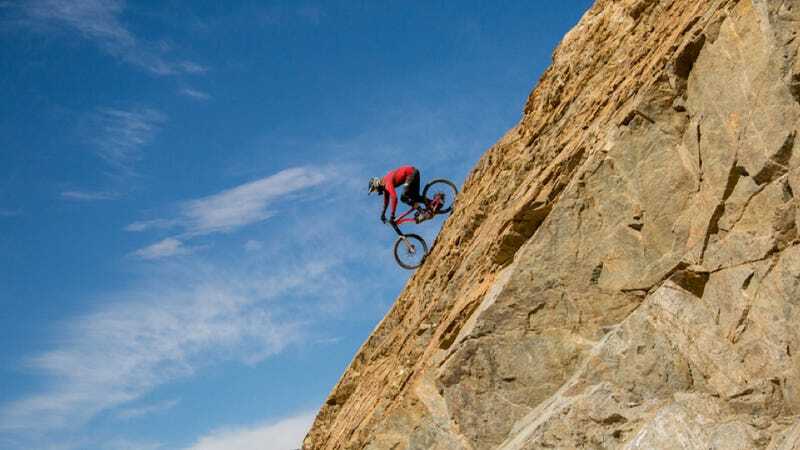 Kiwi mountain bikers Kelly McGarry and Jeremy Lyttle rode what's reported as the world's highest road, and right off it, in the Himalayas at 18,380 feet above sea level. The video's beautiful and will get you fired up for your next "road trip." The clip's obviously an ad for Mercedes, as you can see a new M-Class SUV was used as the biker's shuttle, but I don't really care because it's a lot of fun to watch. This was shot in Khardung La; "located in the area of Ladakh north of Leh, the largest town nearby" and "long known as the highest vehicle-accessible mountain pass in the world," as reported by Mercedes. Good on whoever convinced the big PR bosses at Benz that this was a good idea. Can't say it makes me want to buy an M-Class but I definitely think the company is cooler now.